privacy mods, changing styles, & many more ! * Added an option to change launcher icon. * Added an option to choose application language. * Added an option to chat anyone without save the number. * Added an option to lock the app with PIN. * Added an option to enable text selection in chat bubble. *Added an option to remove last emoji used. * Added an option to show your name & number in action-bar in home screen. * Added an option to hide your number on action-bar in home screen. * Added an option to check for update. * Added an option to view changelog. * Added an option to hide archived chats. * Ability send any type of files. * Ability copy the old status from profile. * Ability pinne invinity number of chats. * Ability click on the links in old status. What's new in v2.50 ? * Added a message counter in groups. * Added an option to change the notification icon. * Added an option to hide the line between conversations. * Added an option to send images at the highest resolution possible. * Added an option to maximize video size up to 72 MB. * Added an option to hide date &name when copying two messages or more. * Ability to put unlimited video in status / story. * Ability to select text in the old status. * Improved Plus Settings UI & Lock UI. 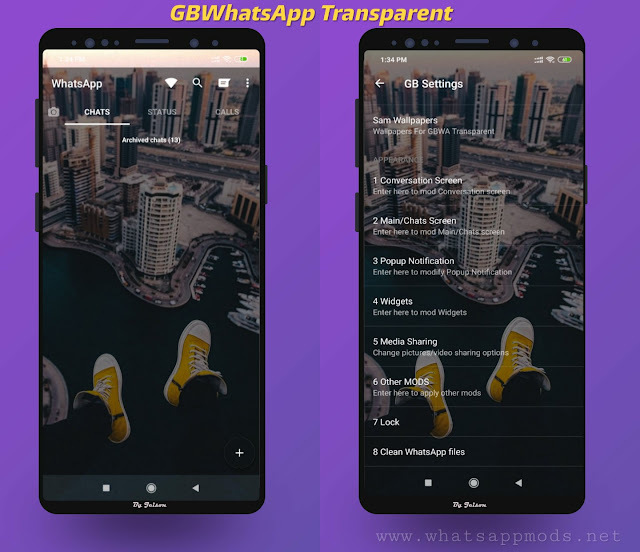 0 Response to "WhatsApp+ v2.50 Latest Version Download Now By WassemSy"